CJ Cheiljedang brands “Bibigo” and “Gourmet” are standing at the forefront of its efforts to tap the Chinese market. 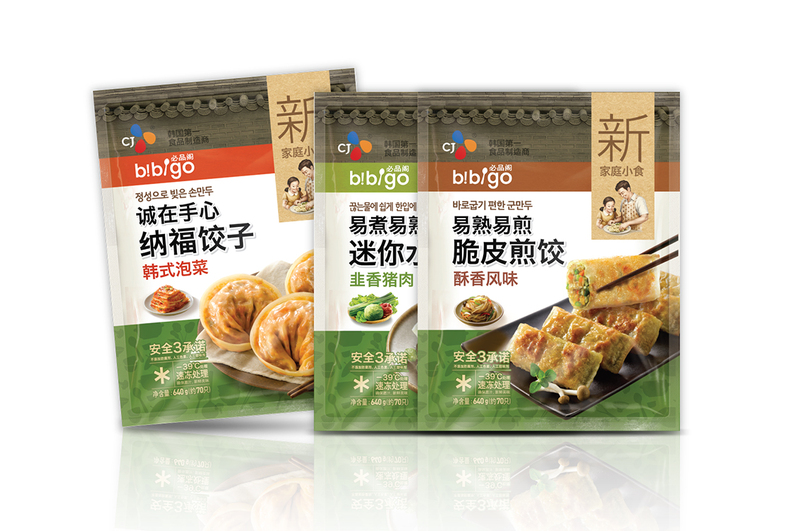 Following Bibigo mandu (Chinese dumpling), the company has expanded its product portfolio by releasing new frozen cooking products such Korean and Western side dishes. 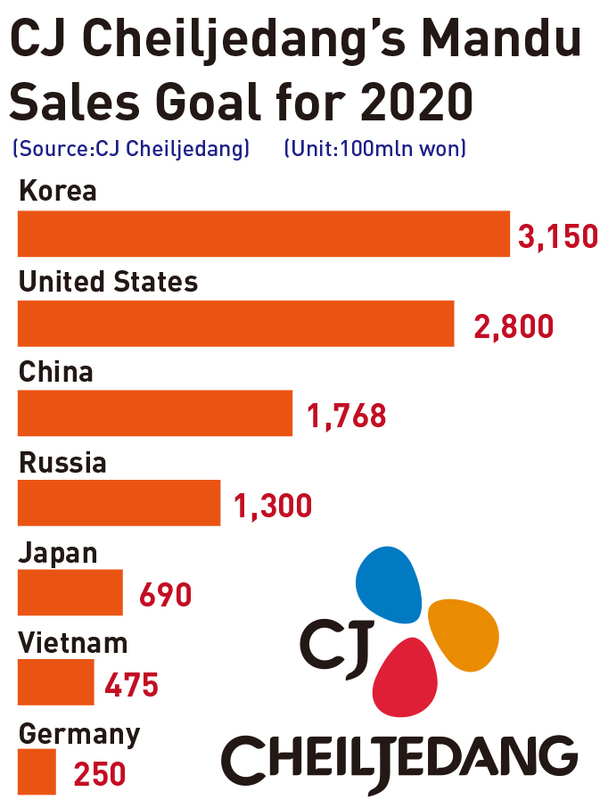 The move is in line with CJ Cheiljedang’s strategy to pursue qualitative and quantitative growth in the Chinese frozen food market, as the brands have made a name for themselves in the Korean frozen market. The Chinese frozen food market, whose size stands at roughly 2 trillion won, has grown 3 percent at an annual average rate in the past three years, and mandu accounts for 30 percent of that. On the contrary, frozen cooking products such as hamburger steak and meat balls are insignificant in size, not yet being classified into any specific category. Of late, urbanization and lifestyle changes have led to signs of rising consumption in convenient products and consumers’ needs for frozen cooking products, however. Chinese born in the 1980s and 1990s, accounting for over half of China’s food consumption, have more overseas experience, so their tendency for preferring a global menu is on the rise, and that will accelerate in the years to come. As part of that trend, CJ Cheiljedang sees amble reason for growth of the Chinese frozen food cooking market. As shown by a rise in sales in Bibigo mandu with a strategy focusing on consumer needs on high quality products in China, CJ Cheiljedang projects that the company’s releasing items whose quality is equal to that of specialized outlet by making the most of the company’s R&D and manufacturing technology capacities will dominate the Chinese market ahead of others. CJ Cheiljedang saw Bibigo mandu sales shoot up from 7 billion won in 2015 to 50 billion won last year. Even though the company finds it not easy to stir up consumers’ appetite due to expensive prices and lower brand standing, CJ Cheiljedang has attracted the minds of Chinese consumers by releasing products based on the company’s manufacturing expertise and advanced technology power and the ones tailored to meet Chinese consumers’ local tastes. The company has put on the Chinese market Bibigo and Gourmet’s strategic items, including Korean traditional tteokgalbi (grilled beef ribs), hamburger steak, and meat ball, which are on a roll with great appeal in Korea. CJ Cheiljedang’s Bibigo mandu plant in Liaocheng, China, outfitted with frozen food cooking equipment with 10 billion won in investments, has succeeded in making a difference – realizing ample meat juices and soft meat fleshiness by making the most of manufacturing technology and expertise being employed in Korea. “Bibicone,” an ice cream cone-shaped bibimpop, rice mixed with vegetables and beef, which has been developed by CJ, is enjoying popularity among players competing for PGA Tour championships. CJ Cheiljedang is making pitch for Korean foods such as Bibicone and dakgangjeong, Korean fried chicken. CJ Cheiljedang plans to participate in major PGA Tour competitions as one of official brand sponsors. The first PGA tour championship in which the company participated as a brand sponsor was Genesis Open 2019 held at the Riviera Country Club from Feb. 10 to 16. CJ Cheiljedang operated the Bibigo booth with “Grab & Go” concept, dubbed “Taste Bibigo,” during the Genesis Open 2019. The booth offered five kinds of snack menu, including Bibicone, cheese & miniwantang and dakgangjeong.